The Leeswood by Flintshire Furniture is a beautiful contemporary solid hardwood bed frame with a curved and slatted headboard. 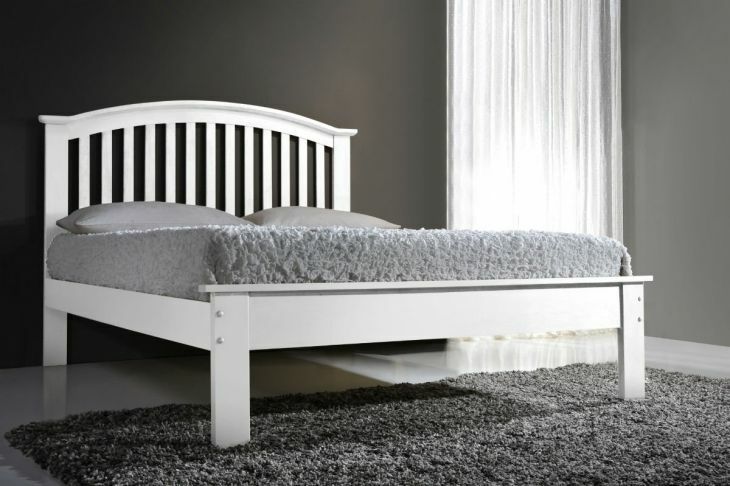 Finished in white, this is an understated, elegant bedstead. This bed suits a UK King size mattress (150 x 200 cm). Do you need a mattress too...? Buy this bed frame with any same-sized bed mattress and get 5% discount on each!